Hostel Casarao 65 v Salvador, Brazílie: Zarezervujte nyní! We are the new hostel in Salvador city, located in one of the most touristic neighbourhood of Salvador. From there, it’s easy to get a shopping mall (Shopping Barra), markets (Hiper BomPreço and Hiper Ideal), besides good bars and restaurants with traditional foods of Bahia. From the hostel it’s easy to take bus to several interesting points at the city and visit many good places in Salvador (easy to get out and come back). 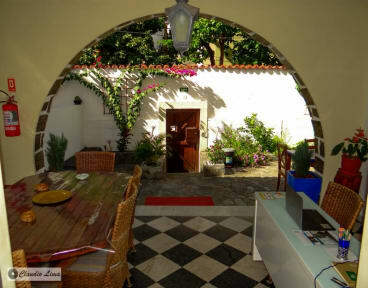 Hostel Casarao 65 has a special design, with an old house style containing big walls, big windows and big rooms. The house has a large outside area with a beautiful garden and a big back garden. The location of the Hostel is great for all moments of the year, especially during Carnaval period. Located really near of the mean Carnaval circuit (Circuit Barra-Ondina), we are in a prime location because our guests not only can easily get the crowd of Carnaval, but also enjoy a calm place to relax during the other part of the day. Also you can easily get one of the most bohemian points of Salvador, Rio Vermelho, by bus, Uber or taxi spending only around 10 minutes as well as our football stadium – Fonte Nova – and a beautiful lagoon with monuments representing our traditional religion – Dique do Tororo. Hostel Casarao 65 has three types of rooms, all with shared bathrooms, All the rooms have air conditioner, fans and private lockers.